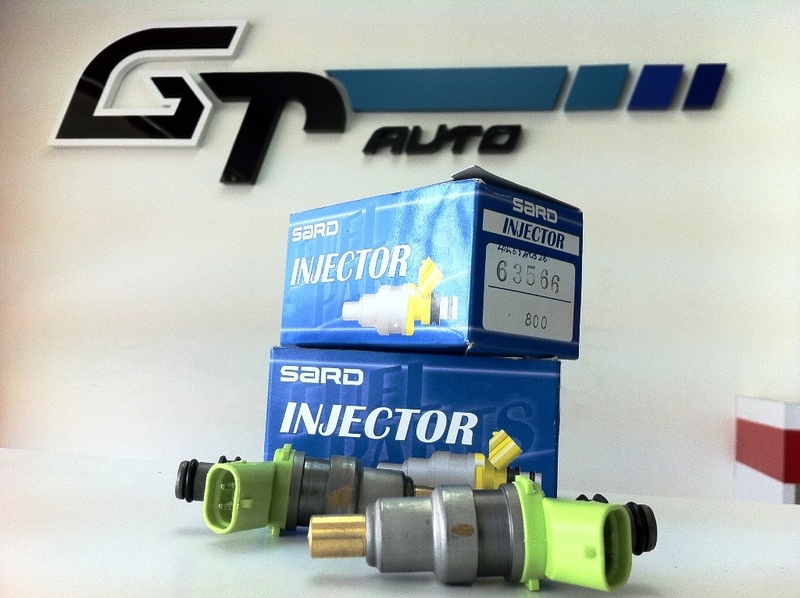 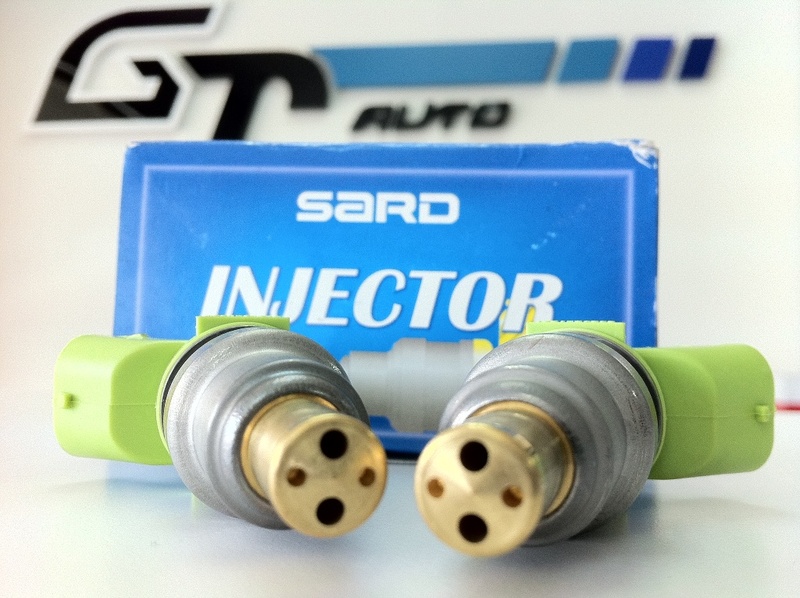 These are 800cc, top feed, low resistance fuel injectors from SARD and they will be replacing the FIC injectors. 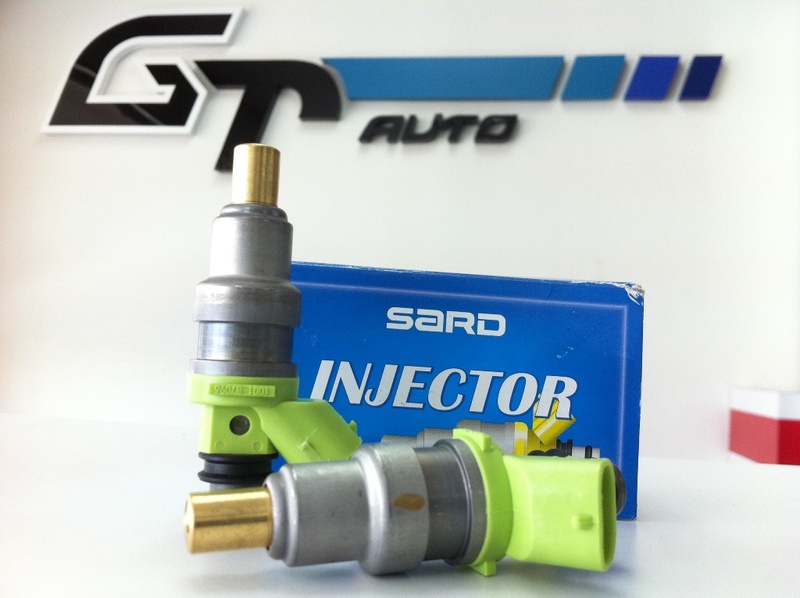 With the new horsepower we're aiming for, the previous 445cc FIC injectors will not be sufficient. 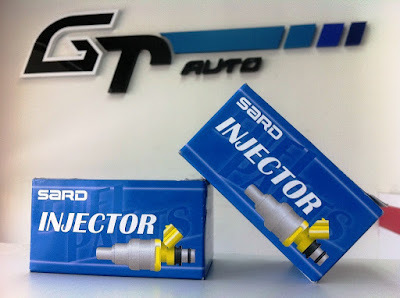 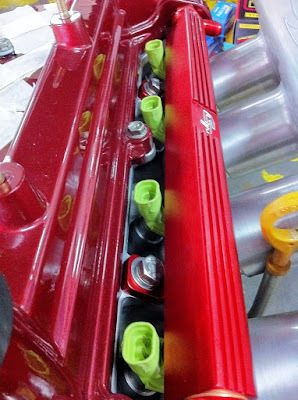 Pictures are pretty self explanatory, and they seem to go very well with the GT Auto fuel rail too. 800cc on a 1.5 daily drive you ask? 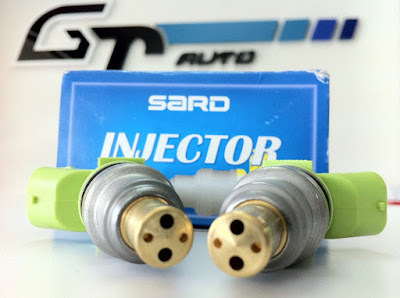 Well, now you know why we went with the Autronic SM4 instead.